Revolutionary Rustics scraped and brushed artisan effects are harmonized with gentle sanding to create a refined, tactile canvas brought to life with carefully selected stains and color washes. This fusion of soft focus texture and unparalleled, multi-tonal colors create a floor with subtlety and sophistication. A strong, protective coating forms the hardest traffic and wear resistant barrier that also protects the wood from soils and stains while letting the beauty of the wood shine through. Constructed exclusively from 100% solid premium Appalachian hardwood, its organic beauty, strength and quality provide the durability needed to last a lifetime. And, with the assurance of a Limited Lifetime Warranty, you will love your floors for years to come. 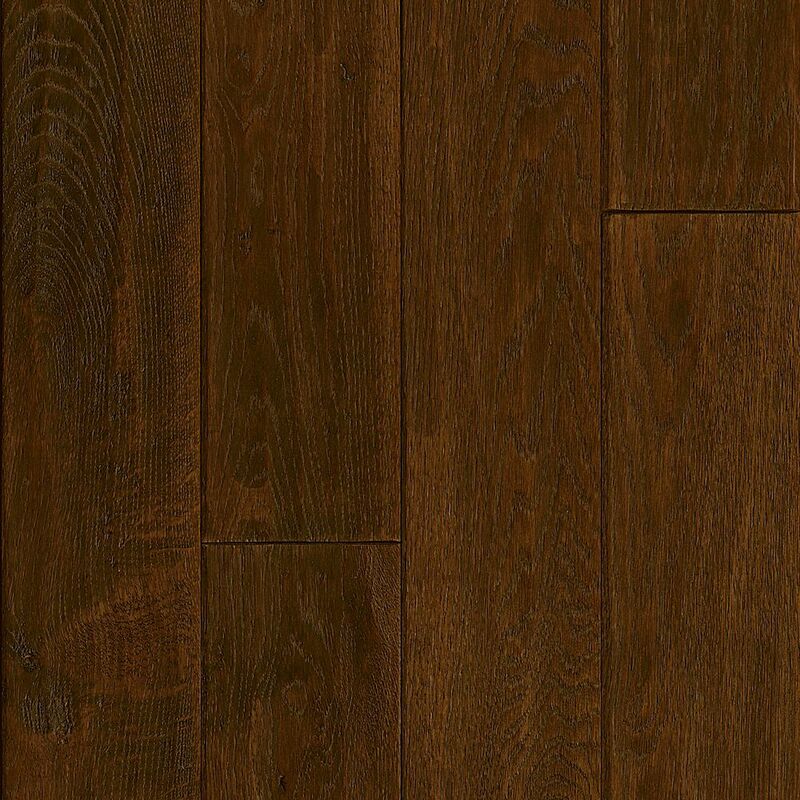 5" X 3/4" Hickory Forrested Hill Handscraped Solid Wood Floor (23.5 sq. ft./case) is rated 5.0 out of 5 by 1. Rated 5 out of 5 by JustinCase from A Wonderful DIY Project! We installed this Bruce flooring in our home office, LR, DR, and the entire upstairs (4 BRs plus the hallway). It turned out amazing! The product is great quality and easy to work with. We didn't need any extra as almost every piece was in perfect condition. The final product looks absolutely breath taking! Thanks Home Depot!